UFC Fight Night Ken Florian vs Din Thomas official winner results for September 19, 2007 in the Pearl Theater at the Palms Las Vegas. Florian had a first round submission win in the Octagon over Din Thomas in the 155 pound Ultimate Fighting Championship main event. Could this have been the best Fight Night event since it started? 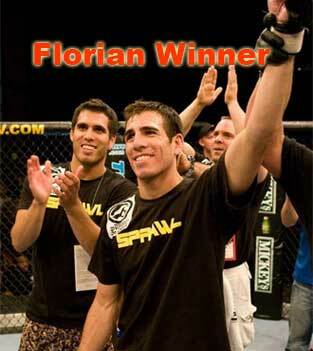 Receiving early scoring with high kick, Florian stayed low and then hid the midsection of Thomas stopping the fight. After 1:30, kept kicking but then Din had a quick takedown to the mat. They both made it to their feet with Florian continuing his pressure. Thomas tried a punch and missed allowing the fighter from New England to pound fiercely with his right hand repeatedly. Thomas took a beating in the Octagon and Florian finalized the punishment with a rear naked choke. The first rounded ended with a tap out at 4:31. 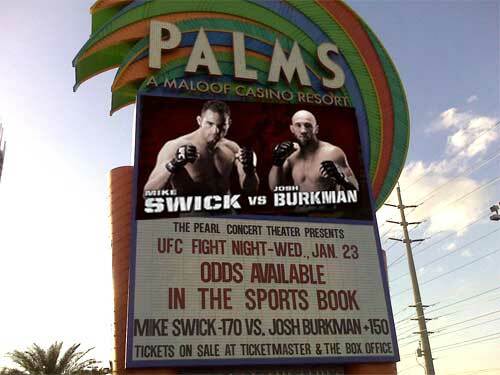 Wednesday, September 19, 2007 The Pearl in the Palms Hotel Las Vegas, Nevada airs on Spike TV beginning at 9pm ET / PT. It was Stevenson who landed the first left hand blow on the fierce striker stunning Guillard. This opening is what he needed as he brought Guillard to the mat with a guillotine choke, which ended in a submission victory.